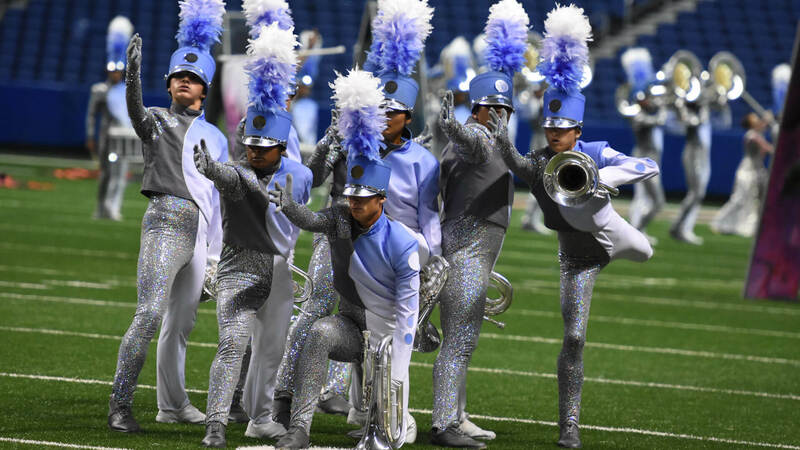 It was another nail-biting night of drum corps at the DCI Southwestern Championship presented by Fred J. Miller, Inc., as the Bluecoats came out on top of a field of 21 World Class corps. Performing for a record-breaking crowd of 14,104 people, the Bluecoats’ resounding “BLOO” was heard loud and clear even before the official first-place announcement of 87.063 points. Saturday marked the first-ever Southwestern Championship win for the corps. 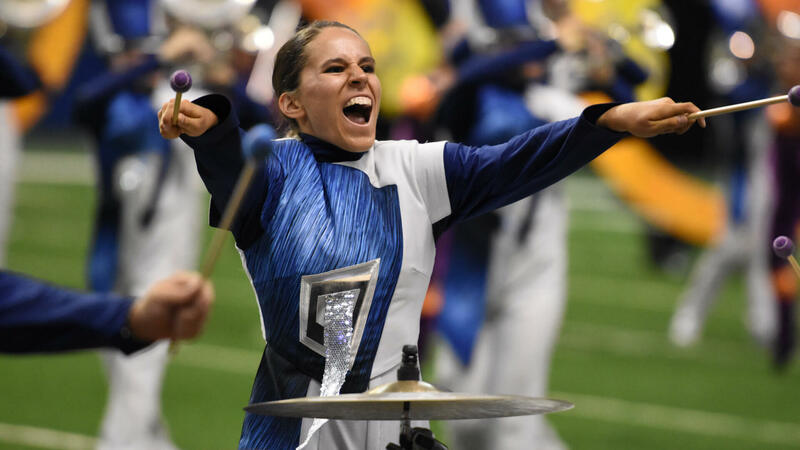 Carolina Crown continues to keep close tabs on its Canton, Ohio competitors while taking second place (86.787) and improving more than a point in total score from last night’s event in Houston. For the Blue Devils, who up until Friday were undefeated, their third-place finish (86.350) has been unusual this season. Santa Clara Vanguard (4th, 84.375) is keeping things interesting, dancing back and forth with the Cadets (5th, 83.438) over the course of the season. 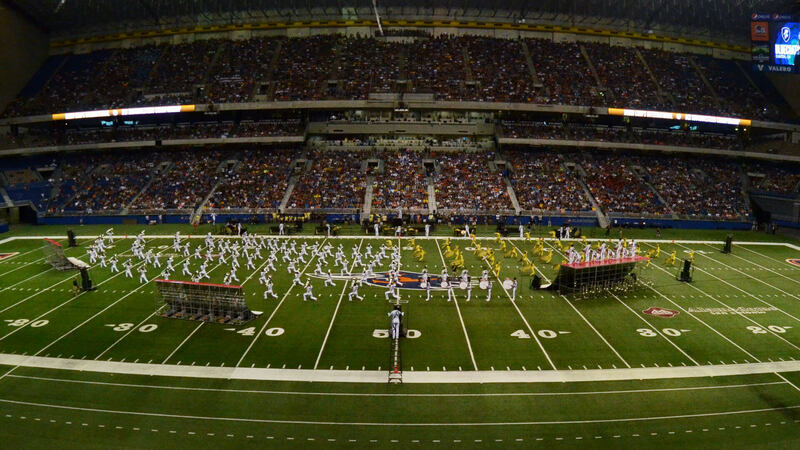 Cadets drum major Kendall Stevenson commented that the close competition this summer improves the corps’ stamina. The Cavaliers (6th, 83.188) finished two and a half tenths behind the Cadets, continuing to hold onto the possibility of getting ahead of the Allentown corps for the first time since 2011. Two corps broke 80 points for the first time tonight with Phantom Regiment (7th, 80.537) continuing to pull ahead of the Blue Knights (8th, 80.000). Phantom Regiment drum major David Warren said that the corps’ 60th anniversary has been a catalyst to the improvement of the corps since the beginning of the season. Blue Stars gained 1.738 points since it’s last performance in Belton, Texas this Thursday, taking ninth place with a score of 79.438. 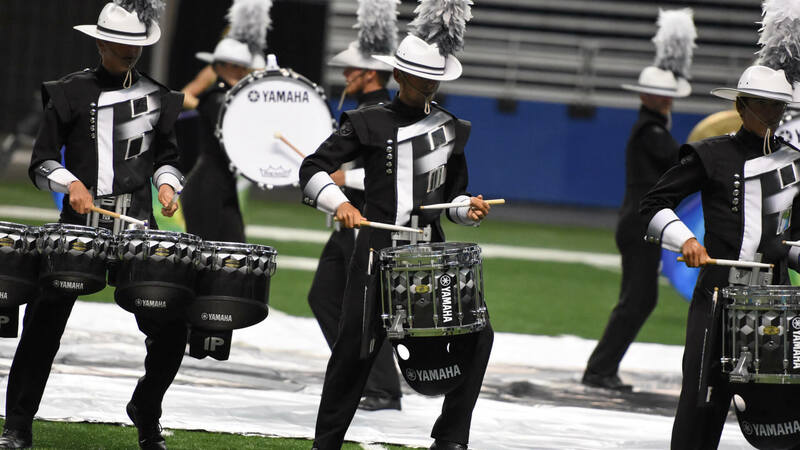 Straight from the city of San Antonio itself, the Crossmen thrived at its home show, taking 10th place over the Madison Scouts (11th, 77.075) with its highest score this season (77.338). 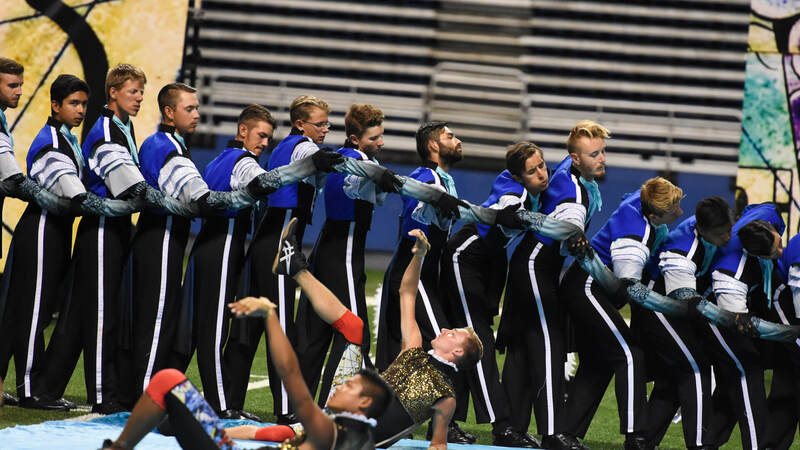 With consistently high scores this season, the Academy (12th, 75.525) is on the right track to earn a spot among the top-12 corps at the DCI World Championship Finals for the first time in the corps’ young history. Troopers (14th, 73.513) fell behind Boston to a much greater margin than the five hundredths of a point the corps was behind in Belton earlier this week. This provided an opportunity for the Colts to further close the gap, coming in 15th with a score of72.113. With a 16th place finish (70.875), Mandarins drum major Emalyn Atkins said that her corps is working this summer to capitalize on its strengths. After edging Spirit of Atlanta (18th, 68.988) for the first time this summer Thursday in Belton, Oregon Crusaders (17th, 69.600) was able to hold onto that lead in San Antonio, besting the Georgia corps by more than half a point. Pacific Crest followed in 19th place with a score of 66.875. The Seattle Cascades finished in 20th place (64.075) with its production “O” that is a nod to the corps’ 50th anniversary this summer. The show incorporates several large, golden circles as props. Jersey Surf rounded out the lineup of World Class corps on Saturday with a score of 62.700 for 21st place. In Open Class competition, Texas corps Genesis took first place with a score of 64.950, improving more than one and a half points since its last performance Thursday in Denton. The Houston-based Guardians (2nd, 57.950), also went big in their home state, which played as a great advantage according to drum major Jordan Smith. 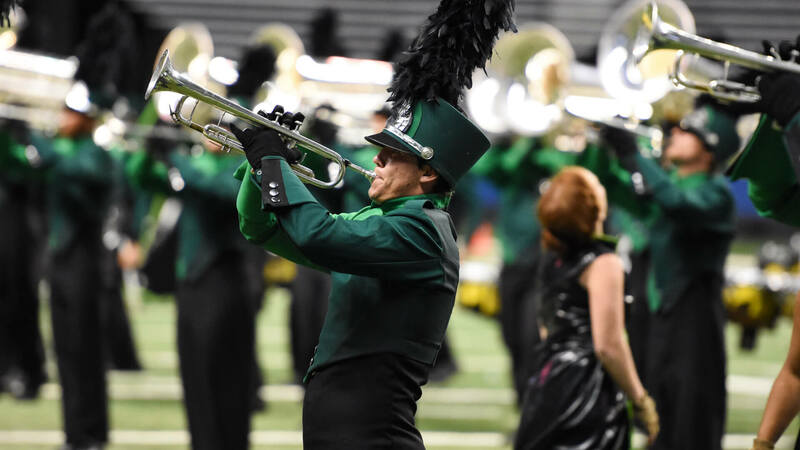 Both Guardians and Louisiana Stars (3rd, 57.900) will make their inaugural trips to the DCI World Championships later this summer in Michigan City and Indianapolis, Indiana. That means they’ll extend their summer tours well into the month of August for the first time in the corps’ histories.